Additional Link: CLICK TO GO TO OUR WEBSITE! 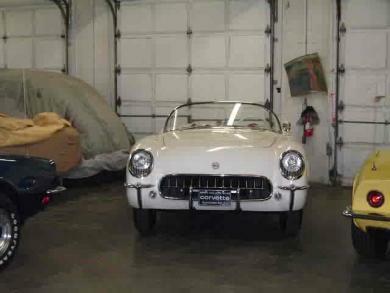 Hobby Car Corvettes is proud to offer this 1954 corvette for sale. We have been in the corvette business for over 30 years, selling only the finest and highest quality corvettes. We currently have over 30 of the nicest corvettes in the country in stock right now. Please call for spring sale pricing!! 1954 Corvette white with red interior, restored by White Post Restorations a number of years ago. The car has laquer paint and completely restored. This is a very nice example of a 1954 corvette.